On Sunday night San Francisco-based Cloud software firm Salesforce.com unveiled its artificial intelligence engine, dubbed Salesforce Einstein, that will be integrated across its platform and provide users with new functions such as predictive lead scoring and vision-based search. Salesforce has been talking about building AI into its wide-ranging cloud portfolio for the last couple of years, and teased the Einstein brand more recently. After acquiring a long list of startups developing cognitive computing or AI technologies and assembling a team of 175 data scientists, it’s ready to demonstrate what Einstein looks like beyond a cartoon version of the world’s most famous German scientist. With the release, Salesforce is bringing to its CRM and other line of business software tools the AI layer that others in the industry are also looking to provide. Putting rapidly-scalable cloud computing power towards crunching huge data sets seems to be a focus for many vendors, as John Ball, senior vice-president and general manager of Einstein at Salesforce says. Einstein will capture real-time signals, and automate processes and make recommendations in context for business users. 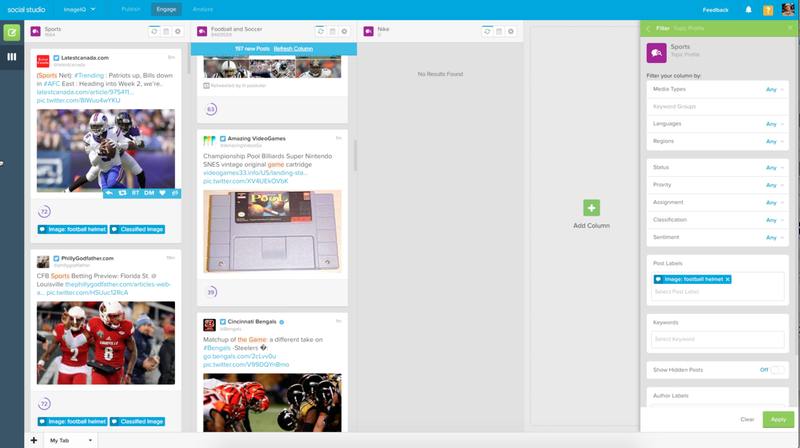 Salesforce users will start seeing Einstein panels and pop-ups in their various cloud products. Some of the new capabilities will be accessible to all users, other more advanced capabilities will require additional licencing. “Customers will benefit from it right out of the box,” Ball says. 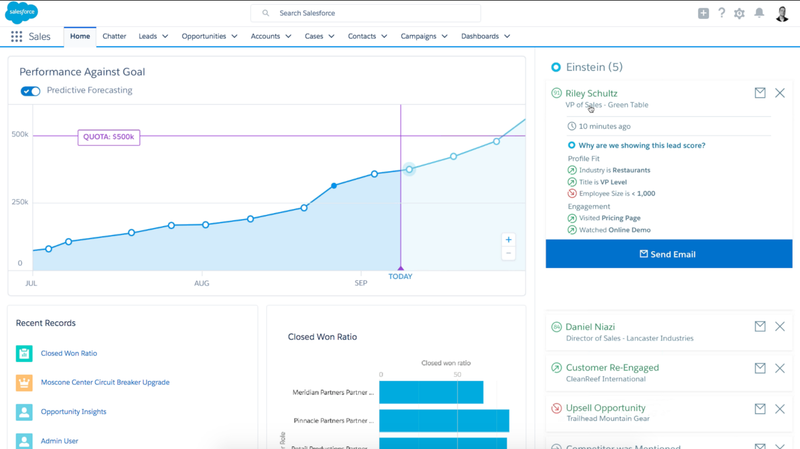 Beyond Einstein, Salesforce is also announcing its Salesforce Research division. As described by chief scientist Richard Socher – who was acquired with MetaMind – the division will be the company’s lab. The team will also bring their results back to the Salesforce product, he adds. Some of its first projects will include improving image classification systems and advanced natural language capabilities. The first research paper should be published within two or three weeks. “All the Salesforce products will get smarter,” he says. AppExchange developers will be able to access Einstein and take advantage of it for their own services and data sets, he says. Though partner pricing for the platform hasn’t been determined yet. For the Sales cloud, Einstein will do predictive lead scoring. Click on a lead to see why they are more likely to convert. In social studio, how about searching for tweets that have an image of something specific, like a football helmet in this case. You can train a new image classification model by uploading a bunch of images with a common thread. 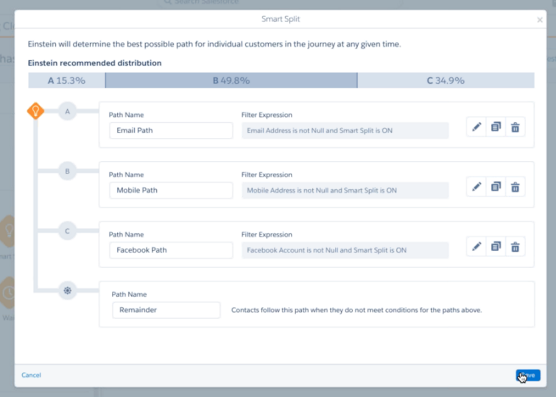 Which path down the conversion funnel is right for this particular customer? In Marketing cloud, AI will automatically determine.